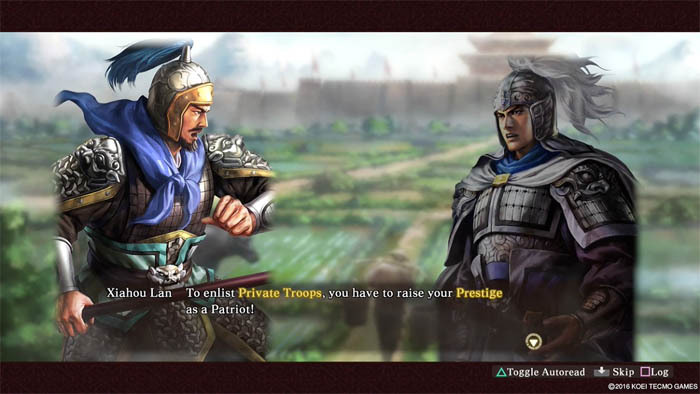 Last year, Koei Tecmo brought Romance of the Three Kingdoms XIII, the latest entry in the long-running strategy series, to the west. Though a very challenging game, it also proved to be a rewarding experience to those with a taste for the complex systems it“s built on. And now the publisher has released a proper expansion pack entitled Fame and Strategy that attempts to add more of both into the core gameplay. Unlike last year“s Nobunaga“s Ambition: Sphere of Influence – Ascension, a stand-alone title that was built on the mechanics of the original Sphere of Influence, Fame and Strategy is strictly an expansion pack. (You can read my thoughts on the original Romance of the Three Kingdoms XIII release here.) It adds some new scenarios based on events of the source novel and ancient Chinese history, but the meat of the expansion is in how it builds upon the established gameplay. As hinted at by the title, Fame and Strategy brings new gameplay concepts to the table that focus on these aspects. In terms of â€œFame,â€ there is now an officer prestige system. Essentially, as the player“s officer acquires fame, new prestige titles can be unlocked that grant the officer new abilities. These titles exist on what amount to skill trees and have the ability to enhance officers of any standing. Even as a free officer, or an officer that is unaligned with any established force, it“s possible to gain fame and prestige, and use that to build up an independent force. On the â€œStrategyâ€ side, the expansion introduces war councils, which allow for planning special tactics to use in the coming battle. During the battles themselves, there are new tactical points present on the battlefields that, when under the player“s control, enable the use of these tactics. These new features do add twists to how battles play out, but ideally, to make the best use of them, the player should already have a good grasp on how combat worked in the original release. Fortunately, Fame and Strategy does add two new side stories to the game“s Hero Mode. Effectively the tutorial, Hero Mode introduces the expansion“s new gameplay concepts in these scenarios. It should be stressed, however, that Romance of the Three Kingdoms XIII was already a challenging game, and Fame and Strategy does not ease up. 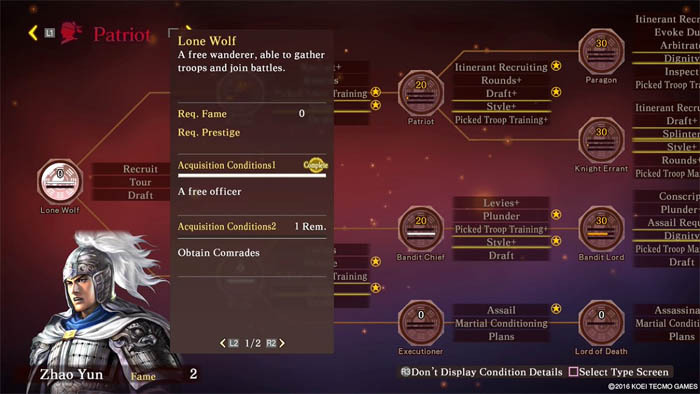 In the original release, Hero Mode scenarios would often introduce new concepts, and then instruct the player to complete the scenario before throwing them to the wolves, and these new Hero Mode challenges are no different. 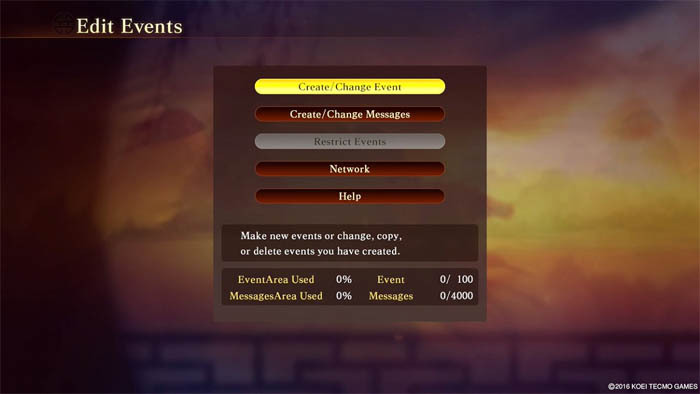 There is a Help menu that gives guidance on the game“s many gameplay topics, but learning in Romance of the Three Kingdoms XIII is generally done by doing, and most likely failing. That“s not necessarily a bad thing, but Fame and Strategy in no way makes things easier for newcomers. It only serves to make an already complex game more complex. The one proper new mode outside of the core gameplay that Fame and Strategy introduces is Edit Events. As a way to create custom events to insert into scenarios, it“s both fascinating and incredibly daunting with the numerous menu options for customization. Some sample events are included so that novice event designers aren“t forced to create new events from scratch, and events can be shared online, so examples are never too far away. But in terms of creating a new event, from the various steps involved in selecting the right event triggers and describing the actual text content, building a quality custom event is not a simple task. This is an unusual review for me to write, as it“s the first time that I“ve reviewed a proper expansion pack to an existing game. In that sense, it can be difficult to separate my feelings on the original release from Fame and Strategy because so much of what the expansion offers is deeply intertwined into the original Romance of the Three Kingdoms XIII. In that sense, I suppose it“s fair to consider this text an expansion of my review of the original release. If you liked Romance of the Three Kingdoms XIII and wanted more, or a new reason to jump back in, then Fame and Strategy should have you covered. If you liked Romance of the Three Kingdoms XIII and wanted more, or a new reason to jump back in, then Fame and Strategy should have you covered.